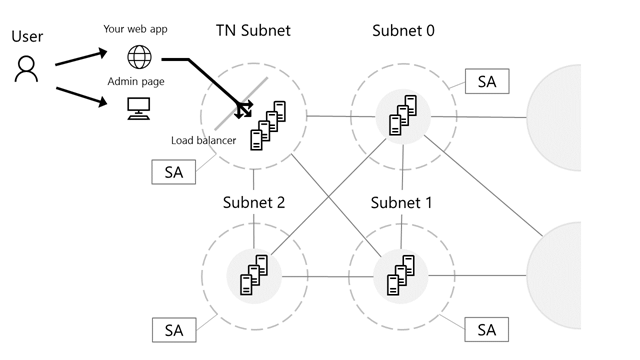 We are very excited to announce the next phase of our support of blockchain on Microsoft Azure with the launch of an early version of the Bletchley v1 infrastructural substrate. We expand on the work we have done to create a diverse distributed ledger ecosystem for private dev/test to focus on the requirements of private multi-node consortium networks. By leveraging the capabilities of Microsoft Azure Resource Manager (ARM), we have shipped an Azure Quickstart Template to make it sufficiently easier and quicker to deploy and configure a consortium Ethereum network with minimal Azure and Ethereum knowledge. With a handful of user inputs and a simple single-click deployment, you can provision a fully configured blockchain network topology consisting of many nodes in minutes, using Microsoft Azure compute, networking, and storage services across the globe. Rather than spending hours building out and configuring the infrastructure, we have automated these time-consuming pieces to allow you to focus on your core business – re-envisioning and reinventing business processes to come up with the new stories of tomorrow. An illustration of the deployed network topology is shown below. At a high level, the template provisions and configures a subnet of mining nodes for each consortium member and a set of load-balanced transaction nodes that members can share to communicate with the network. Through the administrator web page, you can configure additional Ethereum accounts to get started with smart contract and eventually application development. For additional information and a detailed walkthrough of the template, we have published a detailed walkthrough. However, this is just the beginning! We are “releasing early and releasing often” to provide you with the latest updates quickly and to get your feedback throughout the development of the service. Keep an eye out for further updates including support for additional Microsoft services, like Azure Active Directory and Key Vault, and other blockchain protocols. In the meantime, we genuinely value your feedback. Do not hesitate to leave a comment or send me an email with questions, feedback, or additional requests as you begin. We are excited to be embarking on this journey with you.